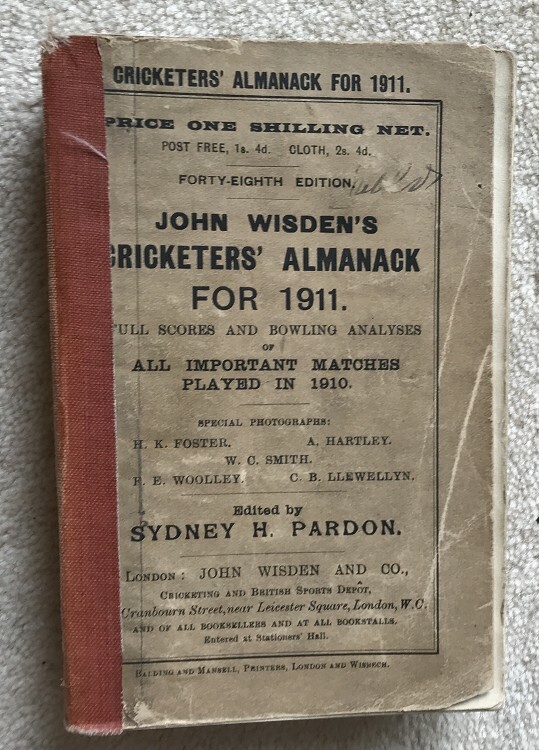 This lot is an Original 1911 Wisden Paperback with tape to the spine. This is in Poor condition, the main concern is that the tape on the spine is not great at holding the book together, it is bound Ok but a bit wobby. The covers are present but the front one is pretty worn, the rear is nice. Internally shaken but clean pages , weak front hinge if the tape can be classed as a hinge. Cheap and cheerful, complete but nicer 1911s exist.